Whatever happens, it happens on Twitter. In 2018, Aussies on Twitter connected, campaigned, learned, debated, and had conversations. They came to share opinions and see other points of view. They turned six degrees of separation into one and they amplified small, but powerful, voices far beyond their home shores. As we reach the end of 2018, Twitter is reflecting on the year that was: from breaking news, entertainment, sports, and conversations. If it happened anywhere, it happened on Twitter. It was a year of #BTS, #auspol and…#Fortnite. It was the year when Twitter reacted en masse as #libspill happened, engaged in ongoing political debates on #climatechange, and celebrated major global sporting occasions like #WorldCup. Tweets connected people across the world during key moments in news, politics, entertainment, music and sport. They shared joy, humour, news, ideas and opinions about the biggest conversations in real time. Twitter is one of the best ways to connect with communities of like-minded fans, top musicians, celebrities, politicians and sporting heroes around the world. When it comes to Twitter’s most-followed Aussies, our many world famous our entertainment superstars top the list — especially music stars — dominate, each of them offering their massive global fan bases inside access on Twitter that you can’t get anywhere else. Our very own Wolverine, @RealHughJackman is the most followed Australian, with the local legends of #5SOS taking our four of the coveted spots. It was a big year for @troyesivan, who climbed up the list to number four most followed Australian — we’re not surprised to see him soar after the success of #bloom. Looking at sports, @CollingwoodFC is the most mentioned sports team, followed by @WestCoastEagles and @Socceroos. Unsurprisingly, @davidwarner31, was the sports star most mentioned in 2018. Australia’s most Retweeted Tweet of the year was about gun control laws. The Tweet from @thomas_violence has been Retweeted almost 170,000 times. The most liked Tweet of the year was from outgoing Prime Minister, Malcolm Turnbull. 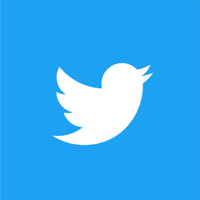 People all over the world come to Twitter every day to have conversations and to find out and catch up on what’s happening in Australia and around the world. Whatever happened, in every corner of the world, and on any topic imaginable, it happened on Twitter in 2018. Here’s our lists of the topics and accounts Tweeted about most in the worlds of TV, politics, sports, entertainment, music and social movements. Share your biggest stories, memories and conversations of 2018 today #ThisHappened.